36″ x 24″ Mixed-media on museum grade sanded pastel paper. Nev 1 is the first of the Lux Lady Series of mixed-media originals to feature model NeveahLleh. The Lux Ladies are created in special metal leafs and are inspired by the spirit, sparkle and movement of Las Vegas. 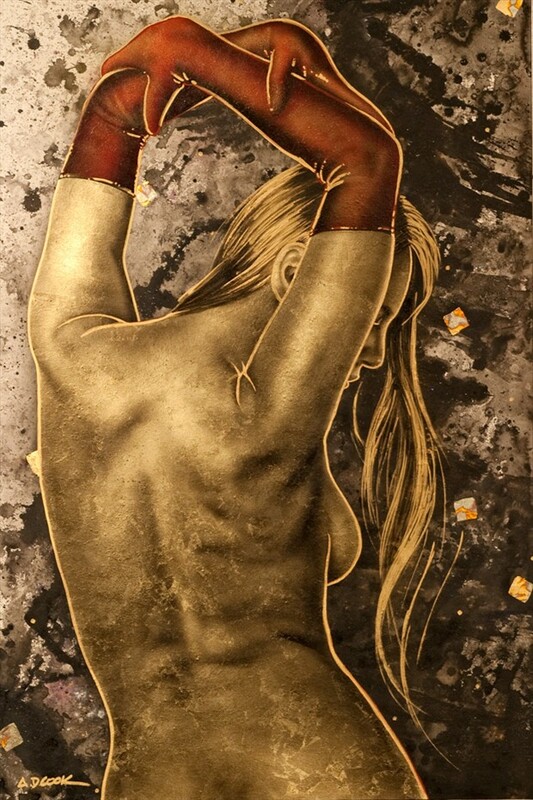 Her torso has over 80 sheets of gold leaf.